Reed & Co. Estate Agency presents an open home that offers more than just a prestigious waterfront residence. 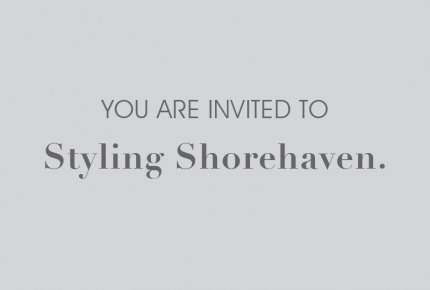 Join us for Styling Shorehaven, a special collaboration with one of Noosa’s most sought-after stylists Simone Barter, featuring timeless & contemporary pieces from Casa Noosa Interiors. Simone will share her best interior styling secrets, where she will break down room by room of her recent project “Styling Shorehaven” using contemporary pieces, homewares, and art by Casa Noosa Interiors. This is a rare opportunity to not only step inside for a full guided tour but interact within a small group to ask questions on your home interiors and receive personalised advice. Simone is passionate about sharing and helping others live in a home they love. Price – $320 p/p – Includes all materials, Coastal Luxe Style Guide, coffee, tea, delicious and delectable light lunch with loads of creative interior conversations. Casa Noosa Interiors located in the heart of Noosa Junction has been a Noosa icon for over 30 years. With two floors to browse it’s a favourite with both locals and visitors alike. Stocking a wide range of furniture, homewares, gifts, rugs and cushions. To join the Casa Noosa community and receive 20% off any of the items used in Styling Shorehaven please enter your details in below you receive your unique code. Terms and Conditions apply. So excited to collaborate with amazing Noosa talents to create for you this Coastal Luxe Style guide. Looking forward to seeing you all at the opening event and to see you at the Master Class. We are the founders of Noosa Creative Industries Events. We started these events in 2017 as we know working in your business can be a lonely journey and we wanted everyone to get together in one location to meet up, connect and have a wonderful time. Each event is aboard the MV Catalina Noosa that hosts different topics, guest speakers, prizes, cool DJ’s, fabulous food & drinks and conversations plus an ultra stylish way cruising along the stunning Noosa River. The event tickets can only be purchased via the Catalina website and details will be shared via @stylelifehome Instagram. If this sounds like what your creative soul needs or just to get the girls together for some fun we would love to see you. "Everything we create is driven from the pursuit to deliver something extraordinary for our clients. We ensure our team is only made up of extraordinary people, and we love to work with people who desire extraordinary results". Thank you so much, we promise to only send you the good interior news and our fabulous client projects.